Have you started your holiday list yet? Studies show that most of us are a bit jaded with the commercialized nature of the holiday season. Perhaps it’s time to think outside the proverbial gift box to find a personally rewarding and exciting way to celebrate. Maybe this holiday will be the one you’ll remember as the year you spent on an Antarctic cruise. Skip last-minute lineups at the mall, and you could be walking in the footsteps of the Heroic Age of Exploration explorers. Instead of fighting for parking, you could be taking a Zodiac ride amongst curious whales, seals and penguins. Would you rather be running the gauntlet of the checkout line, or hiking the shores of black volcanic sand, bearing witness to the spectacle of a leopard seal on the hunt for a tasty penguin treat? When you hear “holiday cruise,” your mind might conjure up large cruise ships packed with families heading off to one tropical island or another. But this isn't always the case. 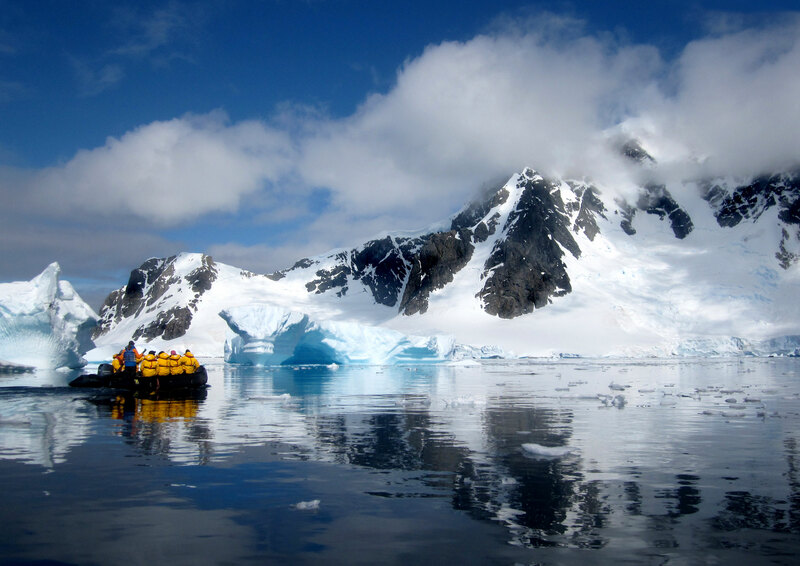 Here are some reasons Antarctic expeditions make fantastic holiday getaways! 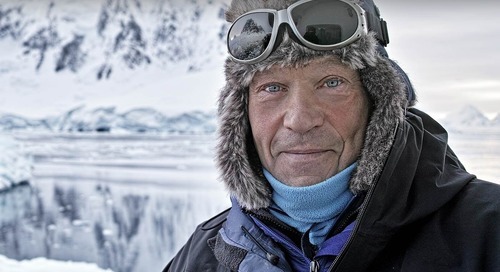 You might think of Antarctica as barren and desolate. But the 7th continent is teeming with wildlife, and once you start hiking, walking or Zodiac cruising, you’ll have the chance to get up close and personal with some of the planet’s most fascinating species. Chinstrap, Adélie and gentoo penguins are common in the South Shetland Islands. It’s not unusual to find yourself close to a colony of chattering, breeding and feeding penguins and their young. At some landing sites, you’ll also see and hear Weddell, fur and leopard seals lounging on beaches. Everyone remembers the excitement of their first Zodiac cruise – and as you approach the Antarctic Peninsula, your chances of seeing whales increases. Nothing is more thrilling than watching these marvelous creatures at water level! Traveling with Quark is truly an international affair. Each year, travelers from over 50 countries join us on adventures in some of the most remote, far-off places in the world. A holiday vacation on board a polar expedition is a festive, celebratory affair. Each traveler has the opportunity to share their unique customs, beliefs and traditions with the group. Last season, for example, Ocean Endeavour passengers spent their time between Ushuaia and the Antarctic Peninsula crafting door decorations and ornaments, writing festive poems and songs, and decorating “human Christmas trees” (Quark staff!). This exposure to new people and different experiences is a large part of what makes long-haul travel such a personally rewarding journey. New friendships and lifelong bonds are cultivated on board, where each passenger has a completely novel and unique experience yet shares it with like-minded adventurers. This is life unscripted, where openness to new experiences and the unpredictable nature of your journey has the power to elicit wonder and sheer joy. Too often missing in everyday life, these powerful emotional experiences are a regular occurrence on an Antarctic voyage – especially during the festive season, for some, the most magical time of the year! What did you receive for as a holiday gift last year? Maybe it was a great tie or a box of chocolates. Your stocking was probably jammed full of perfumes, goodies, gift cards and more. That is what we do for one another to celebrate the holidays, but the truth is that the vast majority of us find these rituals unsatisfying. In fact, a recent Ipsos Reid poll found that a staggering 89 per cent of people feel the holiday season has become too commercial. Imagine waking up and clambering into layers of soft merino wool instead of your old sweats. Then, rather than clunking down the stairs to your familiar chair, you enjoy a full breakfast with new friends and head to your awaiting Zodiac. You’re off to cruise a sheltered harbor, its glass-like water and craggy background of snow-covered rock the perfect setting for a grand performance: a pod of humpback whales breaching and waving their tails for delighted guests. December cruises offer incredible adventure opportunities. You might find yourself stand-up paddleboarding between bergy bits, an experience akin to walking on these pristine, frigid waters. Hiking is fantastic this early in the season, and you never know when you might encounter a colony of curious penguins – or a leopard seal on the hunt – in your travels. That first glimpse of the Antarctic Peninsula as you approach by sea has been described by many as a transformational and emotionally overwhelming experience. Passengers gather on deck or in a forward-looking lounge to take in the spectacle of the peninsula looming large ahead. To determine which cruise is best suited to deliver your polar travel expectations, contact one of our experienced Polar Travel Advisers. Call 1.888.892.0073 today or contact us online to begin planning your ultimate holiday season adventure!